October 2nd at 12:01 AM - October 20th at 11:59 PM. Can you feel it, smell it, see it... fall is in the air. Love watching the leaves changing color and feeling the nice crisp mornings. Fall for me means sweaters and long pants. I tend to accessorize much more in the fall as well, ever notice that you have seasons where you wear more jewelry? As you dig out the sweaters and fall outfits, let Classic Hardware help accessorize your wardrobe. Grevy's Zebra Pop Art Oval Locket Ring fits any size with it's adjustable band. The zebra on the front is a true work of art, so beautiful! 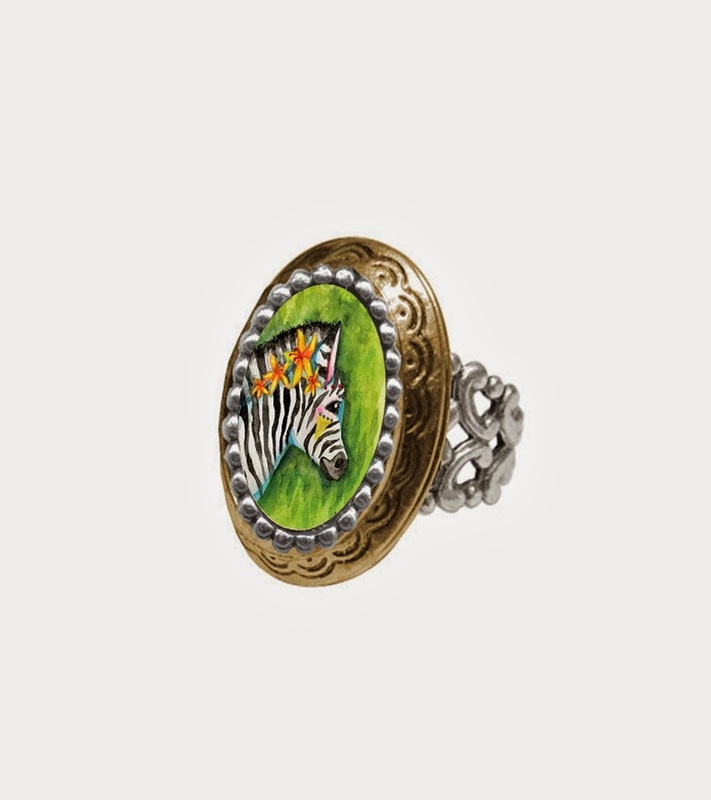 My daughter loves Zebras and she can not wait until she is able to snag this ring from Mom. This ring is such a focal point that you can wear it as a main piece of jewelry. The locket opens and reads "Give Love Give Life". A portion of the proceeds from this Endangered Species line goes to the conservation of wildlife. This ring is classy and very artistic. If you win this giveaway you will have as an option, to choose one of these gorgeous locket rings! This little bird makes the frame and draws attention to your neckline in a V neck sweater. It looks like this darling little blue bird is in a cage sitting around your neck. I got many compliments on this necklace. I love that the clasp stays in the back! It doesn't rotate on the necklace, but the pendant is attached right in the middle. With the weight of it I didn't have to worry about my clasp being right next to my little blue bird with her halo. You can shop by Category such as bracelets, necklaces, and earrings. You can also shop by Collection artist or genre. There are great choices in Rock, Retro, Pop, Victorian, Shadow Box and more. Any flavor you might have for jewelry.. Classic Hardware is for you. I LOVE their website, it showcases each of their artists, their crew, and of course each product they sell. You can go clunky and loud or you can go delicate and soft with their complete line. I'd choose the Owlet Ring. I'd like the Coffee Angel Baroque Necklace. Thanks. I like the Custom Silver Baroque Necklace with White Letter. I think I would choosethe Lil' Birdies Small Oval Pop Art Locket Ring. Thank you! I would pick a shadow box necklace! So many gorgeous items that it is really hard to choose just one, but the owlet ring has really caught my eye. I would probably pick the African Elephant ring. I would probably choose a necklace. I'd get the Custom Silver Baroque Necklace with White Letter. I really like the CUSTOM SILVER BAROQUE NECKLACE WITH WHITE LETTER. ooh,tough choice! i think i would like the coffee angel necklace. I'd get the panda bear ring! I would choose the necklace with initial. Siberian Tiger Pop Art Oval Locket Ring - beautiful! I want the Baroque Mother Necklace. COOOOL!! I love the Bird with Halo necklace or I might would choose a custom image. I would choose the Socorro Mockingbird Victorian Oval Ring. I would choose the tiger locket ring I think! I would choose the Bird With Halo Baroque Necklace. I would choose the Soul Baroque Necklace! 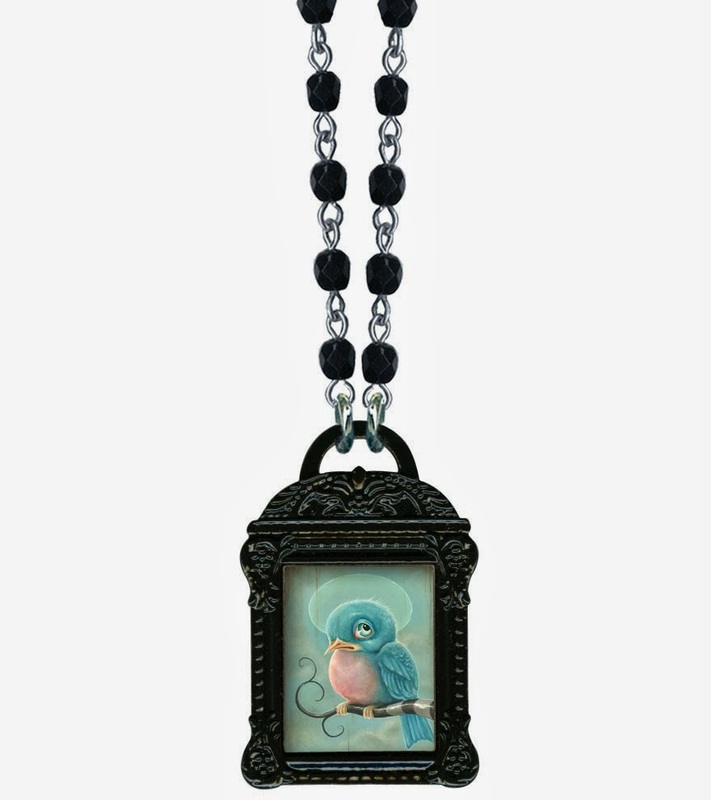 I love the Bird With Halo Baroque Necklace. My choice would be the african elephant pop art oval locket ring. I love the necklaces...I have no idea which to pick, I like so many of them. Oooh, I like the 9-spotted lady beetle! I would totally pick a necklace! I would pick a necklace. I would pick the Dasies Small Oval locket ring. I would choose the Baroque Initial Necklace. 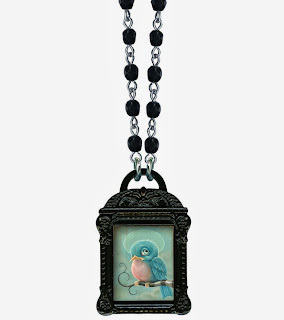 I would pick the Bird With Halo Baroque Necklace. I really like the RIDDLED BAROQUE NECKLACE, so unique! Ruler Victorian Black Kitty Ring is lovely! The Zebra Ring is nice! The panda ring is lovely! I think all the locket rings are unique and cool. I like the Gypsy Rose Small Oval Pop Art Locket Ring best though. I love the Riddled Baroque Necklace! It is so beautiful! Royal Panda Bear Pop Art Oval Locket Ring. It's great! The La Gitane Baroque Necklace is really unique. Really nice items. I like the Royal Panda Bear Pop Art Oval Locket Ring. I'd pick that amazing necklace! So very cool! I would be gifting it to my daughter and since she was picked in school to neuter the zebra, I would get the zebra ring for her! I would choose a necklace. The bird with halo necklace is my favorite. I love the Coffee Angel Baroque necklace. I'd choose the Royal Polar Bear. I really like the ALBERTINE OWLET POP ART OVAL LOCKET RING. If I were going to get something from this site it would be this beautiful trinket. I really like the necklaces, the steward,mother and bird with halo. Thank you for joining the hop. I would choose the Custom Black Baroque Necklace with Black Letter.